2015. Paperback. New. Legendary sportswriter Roger Kahn at last reveals the true, unsanitized account of the integration of baseball, a story that for decades has relied on inaccurate, second-hand reports. 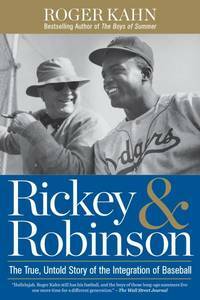 This story contains exclusive reporting and personal reminiscences that no other writer can produce, including revelatory material he'd buried in his notebooks in the '40s and '50s, back when sportswriters were still known to 'protect' players and baseball executives. 2007. Paperback. New. Get Ready to Run! 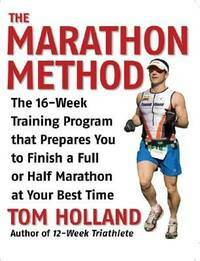 A complete guide to training for a half or full marathon in sixteen weeks, this book follows the format of Tom's previous book The 12-Week Triathlete with simply the best advice on how to run your fastest race while staying injury-free. Whether you are a first-time marathoner, trying to set a new ""PR"" or looking to qualify for Boston, this book is for you. ""TRAIN LESS AND RUN YOUR BEST"" Some worry that running a marathon will involve hours upon hours of training each week. Others fear that they will become injured. Some veteran marathoners have followed other training plans and experienced both, but Tom's approach is much different. 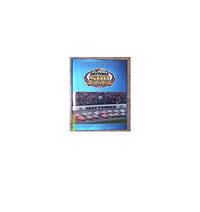 His philosophy of ""train less, run your best"" will amaze you whether you are running your first marathon or fiftieth. Exercise physiologist and sports performance coach Tom Holland -- an elite endurance athlete himself and sub-3 hour marathoner who has run in more than fifty marathons, three ultramarathons, and a dozen Ironman triathlons around the world will teach you how to properly gear up and train in the sixteen weeks prior to your half or full marathon. So when that starting gun sounds, you'll be equipped with invaluable tips and techniques that will put you in position to run the best race of your life. The Marathon Method provides you with everything you need to know including: Easy-to-understand advice on nutrition, hydration, and gear Customized training plans for beginner, intermediate, and advanced runners Advice on the mental side of running and how to make your mind go that extra mile Strategies to avoid hitting the infamous 'wall' Tips on pacing, injury prevention, strength training, flexibility, and much more! 2008. Hardcover. Like New. Has writing inside. ""Offers tips to make fishing in North America easier and more productive. The up-close and detailed photographs show how. Tips come from years of research, and include everything from buying new waders and using hemostats to timing the strike to casting sinking fly lines. 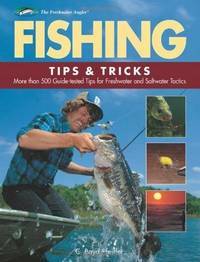 Covers both freshwater and saltwater species, methods and skills""--Provided by publisher. 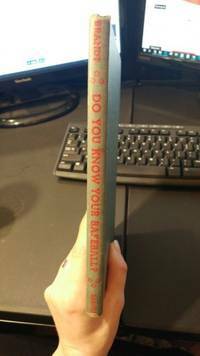 Do You Know Your Baseball? 1947. Hardcover. No dust jacket. Very Good. 2012. Hardcover, Dust Jacket. New. A baseball legend distinguished by his competitive nature, quick wit, and generous spirit, Lefty Gomez was one of a kind. Told for the first time, this is his remarkable story. Born to a small-town California ranching family, the youngest of eight, Vernon Lefty"" Gomez rode his powerful arm and jocular personality right across America to the dugout of the New York Yankees. Lefty baffled hitters with his blazing fastball, establishing himself as the team's ace. 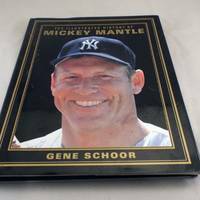 He vacationed with Babe Ruth, served as Joe DiMaggio's confidant, and consoled Lou Gehrig the day the ""Iron Horse"" removed himself from the lineup. He started and won the first-ever All-Star Game, was the first pitcher to make the cover of Time magazine, and barnstormed Japan as part of Major League Baseball's grand ambassadorial tour in 1934. Away from the diamond, Lefty played the big-city bon vivant, marrying Broadway star June O'Dea and hobnobbing with a who's who of celebrities, including George Gershwin, Jack Dempsey, Ernest Hemingway, Marilyn Monroe, George M. Cohan, and James Michener. He even scored a private audience with the pope. 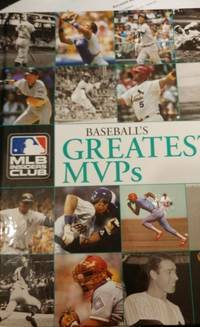 And even when his pro ball career was done, Lefty wasn't. He became a national representative for Wilson Sporting Goods, logging over 100,000 miles a year, spreading the word about America's favorite game, and touching thousands of lives. In 1972 he was inducted into the National Baseball Hall of Fame. Three baseball fields are named for him, and to this day the top honor bestowed each year by the American Baseball Coaches Association is the Lefty Gomez Award. 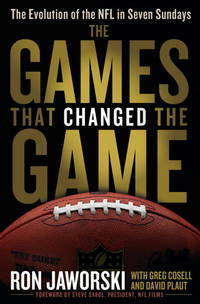 Now, drawing on countless conversations with Lefty, interweaving more than three hundred interviews conducted with his family, friends, competitors, and teammates over the course of a decade, and revealing candid photos, documents, and film clips--many never shown publicly--his daughter Vernona Gomez and her award-winning co-author Lawrence Goldstone vividly re-create the life and adventures of the irreverent southpaw fondly dubbed ""El Sęor Goofy."" ""I'd rather be lucky than good,"" Lefty Gomez once quipped--one of many classic one-liners documented here. In the end he was both. 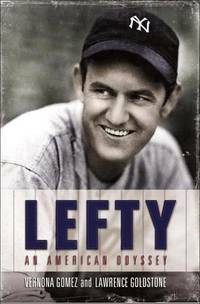 A star-studded romp through baseball's most glorious seasons and America's most glamorous years, Lefty is at once a long-overdue reminder of a pitcher's greatness and a heartwarming celebration of a life well-lived""--Provided by publisher. 2007. Hardcover, Dust Jacket. New. 2016. Hardcover. New. The definitive tribute that celebrates the life and legacy of Muhammad Ali, an American original.From his unlikely transformation from Louisville Golden Gloves winner to Olympic gold medalist to three-time heavyweight champion, civil rights hero and at one point, the most famous person on earth, Muhammad Ali and his journey were always chronicled and celebrated by Sports Illustrated's writers and photographers. 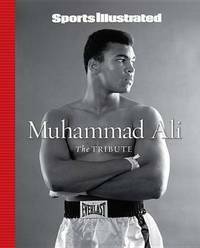 Now, all of those moments and memories are collected in Muhammad Ali: The Tribute, a deluxe fully-illustrated gift book that celebrates the life and legacy of this iconic athlete and champion.He shook up the world and became the boxer who went from the sports page to the front page. As a young fighter he revolutionized boxing as the fleet-of-foot dancer who took the crown from Sonny Liston; his rivalry with Joe Frazier was legendary; he grew up into one of the toughest heavyweights of all time, winning The Rumble in the Jungle and the Thrilla in Manilla. He was then able to parlay that fame into a role as elder statesman and inspiration to decades of athletes who would come behind him. All of those moments are captured here in distinct chapters that take you from Rise to Rumble, Exile to Return, Greatest, and Statesman.Written with the keen insight that only Sports Illustrated can bring, with a special gatefold that features stats and images from every one of this legendary bouts, and hundreds more black and white and full-color photographs that have become as iconic as the man himself, Muhammad Ali: The Tribute will stand as the companion piece to a legendary man and athlete. 2016. Hardcover. New. All parties seem to be in agreement that the rivalry between the University of Miami and the University of Florida is as nasty and historical as they come; going back to the thirties, it's the state of Florida's oldest major rivalry. Gators beat writer Pat Dooley described the vitriolic rivalry to the author simply as "vile." History would prove that to be true. 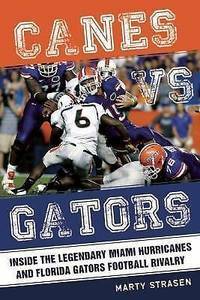 In Canes vs. Gators, coaches Urban Meyer, Howard Schnellenberger, Steve Spurrier, Larry Coker, and Ron Zook and several former notable players on both sides of the rivalry, along with key media members for both schools, offer their unique commentary on the intensity of the rivalry. 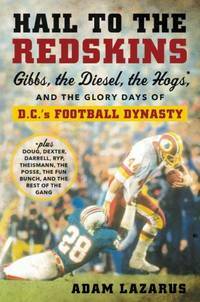 For example, Schnellenberger recalled with anger that after his staff and team were pelted with frozen oranges in 1980, he kicked an extra meaningless field goal in a blowout victory . . . and he wished he'd called on his punter to take the ball and launch it into the Florida student section! 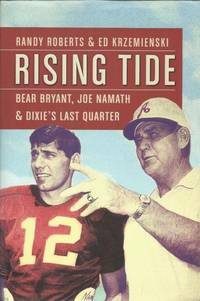 Author Marty Strasen, who covered both schools for over a decade, brings to life the greatest moments of this historic rivalry. 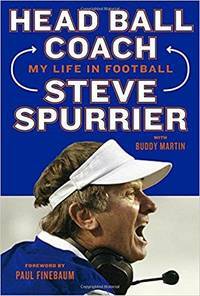 This book is the perfect gift for Florida college football fans!